Description: In 2009 and 2011 Ann Hoyt was a visiting researcher at the University of Trento, Italy where she visited worker cooperatives designed to support offenders and ex-offenders. She studied the cooperative business potential for providing post-release support and reducing recidivism; the legal and financial structures that support these co-ops; methods used for organizing them, and possibilities for adapting this model to American re-entry programs. Ann will share what she learned in Italy, answer questions and discuss the potential for offender co-ops in Wisconsin. Ann is Professor and Chair of the Department of Consumer Science at the University of Wisconsin-Madison and a Consumer Cooperative Specialist at UW-Extension. This Sunday’s Night School has been rescheduled! 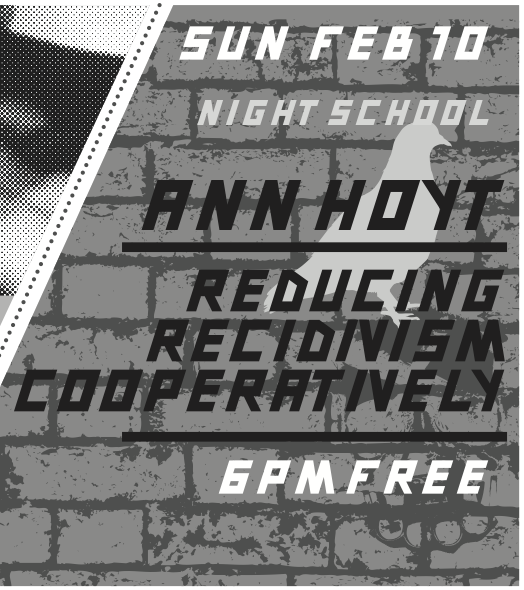 Now on February 10th, Ann Hoyt of the University of Wisconsin Center for Cooperatives will discuss her research regarding how Italian Social Co-ops Reduce Recidivism. She has found that social co-ops in Italy, which employ ex-cons, have played a major role in reducing the recidivism rate from 70-80% down to 20-30%. What are the implications for the US and Milwaukee? We’ll find out. We unfortunately had to reschedule this because our speaker has a broken shoulder. We have moved it to February 10th! 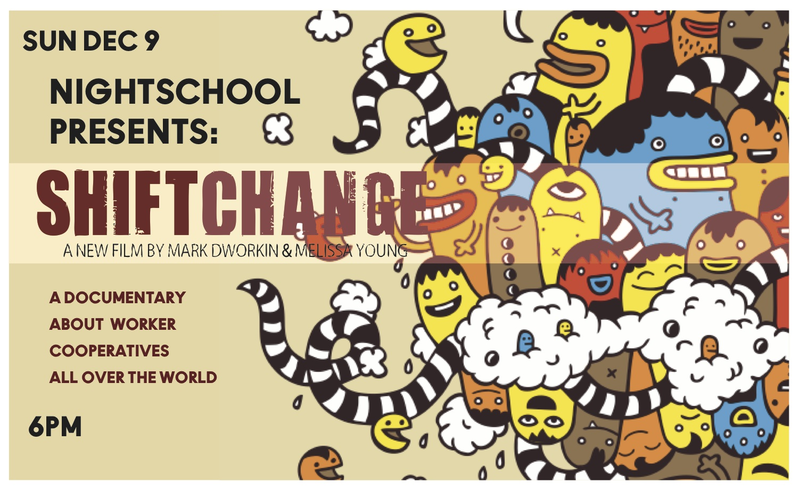 Along with the Riverwest Co-op, Riverwest Public House’s Night School is proud to present SHIFT CHANGE, a brand new documentary about worker co-ops in the United States and abroad. –Ole Olson, who sits on the Isthmus Engineering co-op affairs committee, is active with the U.S. Federation of Worker Co-ops and in MadWorC, a budding network of Madison worker cooperatives that promotes support among coops in the area, and encourages creation of new co-ops.